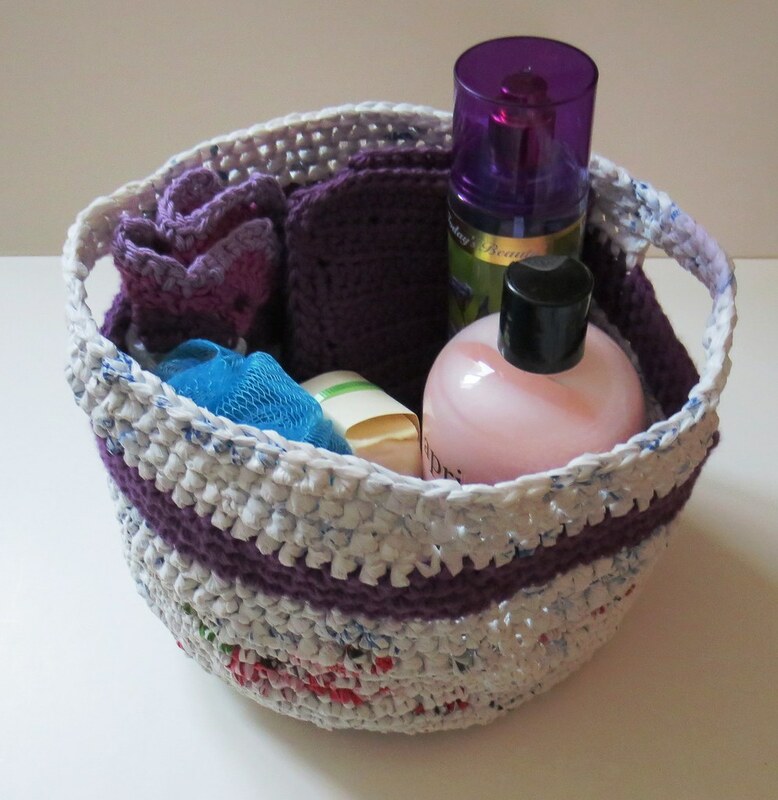 I crocheted a gift basket using recycled white plastic bags cut into plarn for an upcoming library fundraiser. I wanted to color match the basket with a few cloths in the gift basket. So I used the same mulberry cotton yarn for the stripe on the basket as I did when I crocheted the cloths. 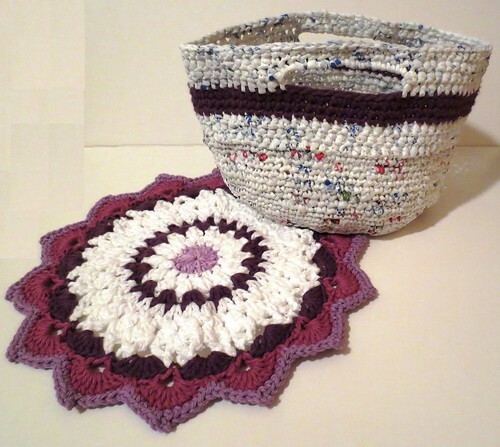 Here is the free plarn basket pattern which I used to crochet the basket. I used double strands of regular cotton yarn to crochet the matching stripe. My camera doesn’t really capture the matching colors but the items do look good together and I am hoping people will bid on this for auction for the library.